Dedicated to helping couples around the world have healthier relationships, prevent divorce and keep the romance alive. 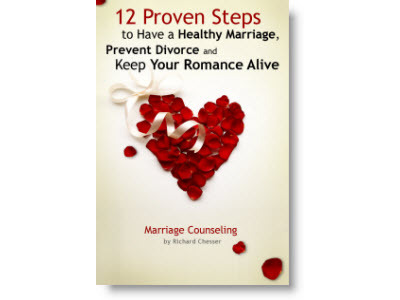 Richard’s New Book Now Available! 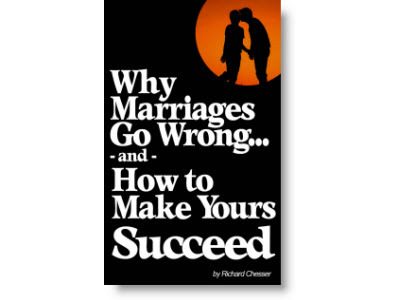 If you’re on the road to marriage, then this is a must-read book for you! Before you marry, you face some of the most interesting questions of your lifetime. The Marriage Compatibility Test brings together the most important questions any couple should consider before tying the knot. Like most voyages, this one will be more successful if you know what to expect and prepare for it. Just as you get road maps before taking a trip into unfamiliar territory, you’ll want to do the same with marriage before taking the final step. 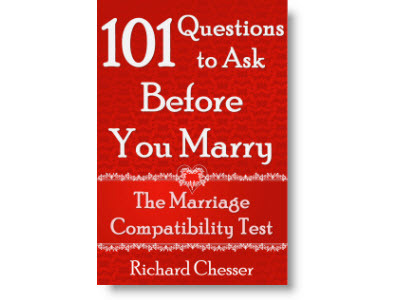 The 101 questions around which this book is written represent more than 20 years’ experience with thousands of persons approaching marriage, so trust that you are in good hands. That’s why this is a must-have book all couples should read. Click here to buy it now and read it on all of your electronic devices instantly today! All Richard Chesser books are currently available exclusively through Amazon.com.